Sushi is one of the most famous dishes in Japan, and which has become quite popular elsewhere as well. 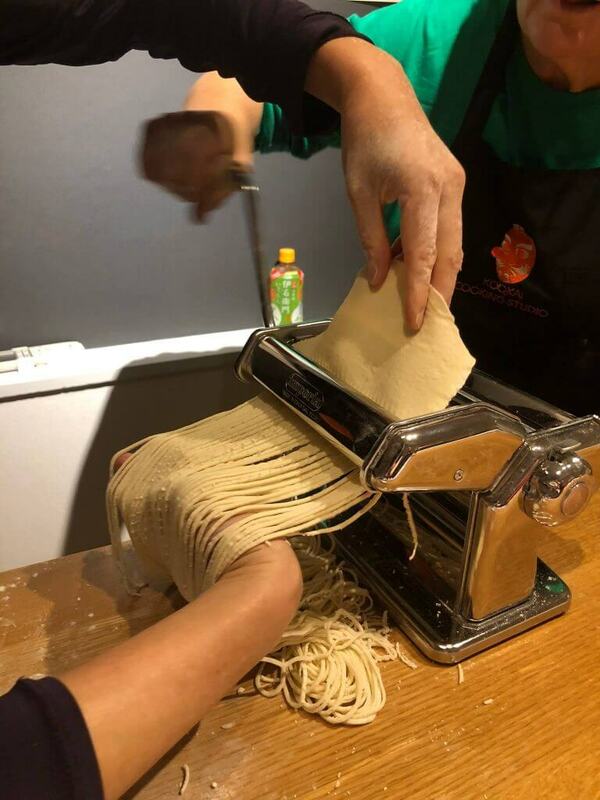 One could say that it is one of the biggest culinary exports of Japan. 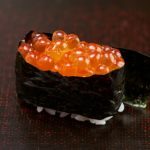 The most basic understanding of sushi can be taken as being along the lines of raw fish, wrapped in fermented rice and seaweed. 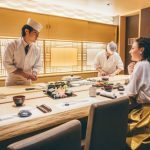 The history of Sushi dates back several centuries, to a period when fish would be fermented with rice and salt, from Tokyo to elsewhere on the island nation. Once the fermentation process was complete, the rice would be discarded, with only the fish being eaten. This proactive however steadily came to an end, as people started to eventually consume the rice as well. Thus began the evolution of the sushi in Japan. 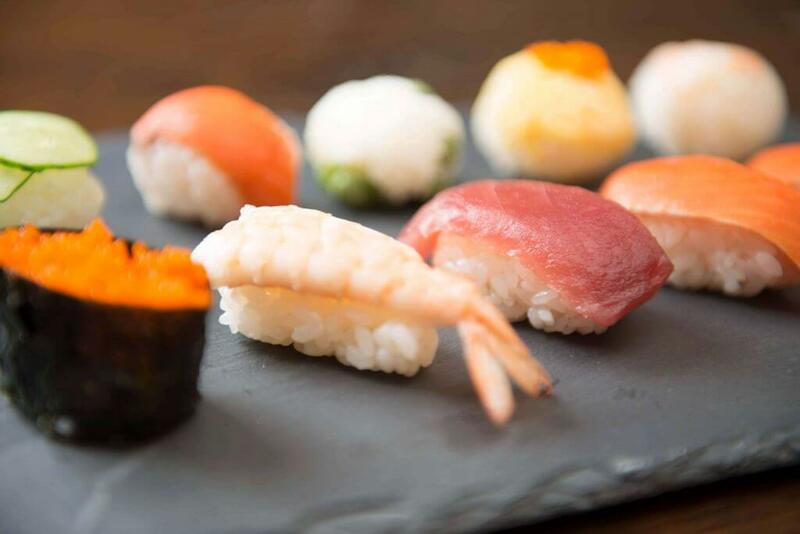 Today, the sushi is prepared using a mix of fermented rice, vegetables, fruits and seafood. As for the vegetables used for sushi, some of the most common include asparagus, carrots, eggplant, cucumber, avocado, yam, etc. Likewise, the seafood used in it include a variety of fish and crustaceans such as swordfish, bass, crabs, etc. One of the most popular kinds of sushi is that of tuna. Tuna, found all across the world, has been an important part of the Japanese cuisine for a very long time. It can grow up to 2 meters and weigh anywhere from a couple of kilos to well over a hundred. Bluefin Tuna –The Bluefin Tuna is found in the Atlantic ocean. It is the largest tuna species on earth and is considered a luxury in Japan. 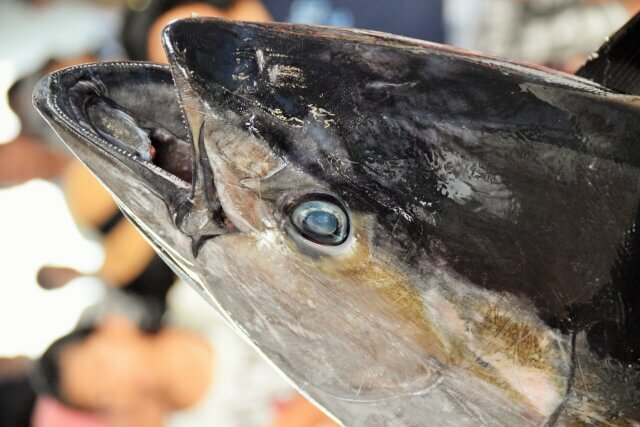 Southern Bluefin Tuna – This is a tuna very similar to the Bluefin. The species is found in the pacific ocean and other nearby areas. The species is endangered and catching it is heavily restricted. Albacore Tuna – The Albacore is one of the most popular tunas used for sushi. Found across most of the world’s oceans and often sold as canned tuna, it is often marketed as ‘white tuna’. This is however to be treated with caution, since the ‘white tuna’ is often not really tuna, but rather another fish called Escolar. Humans cannot digest Escolar and can cause digestive problems. The marketing of ‘white tuna’ is in fact banned in Japan. Akami – Akami refers to the tuna meat that contains a high amount of protein and very little fat. It is characterized by a fairly dark appearance. Chu-Toro – Chu-Toro refers to the tuna meat that contains a moderate amount of both fat and protein. It can be identified by an equal percentage of both dark and light spots. 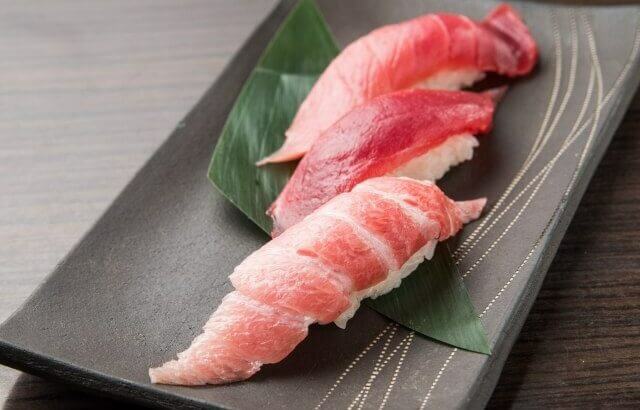 O-Toro – O-Toro refers to the tuna that has the highest amount of fat, and characterized by a marbled appearance. When it comes to the preparation of tuna sushi, the process is fairly similar to that of other sushis. 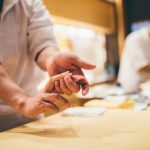 In other words, the way it is made doesn’t different much whether you visit a restaurant in Tokyo or elsewhere. To start off, the raw fish is covered with rice and other vegetables and wrapped in sea weed. 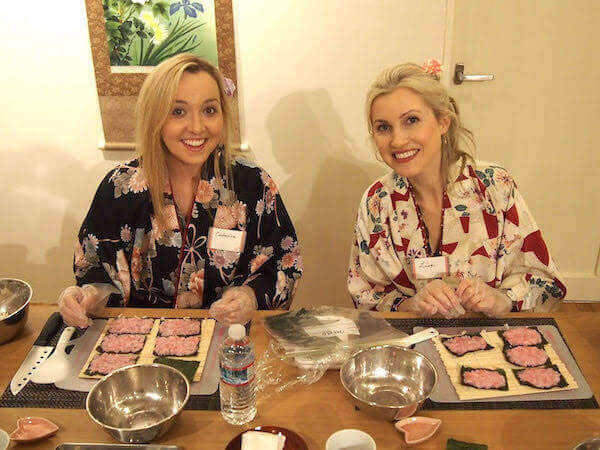 The rolls are then cut into small strips, forming the iconic sushi pieces you are familiar with. 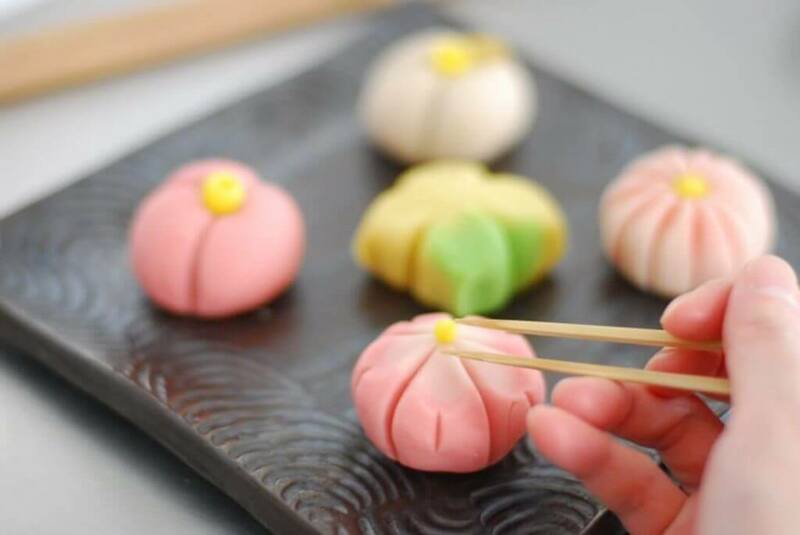 To begin with, know that you can eat sushi with and without the chopsticks. There is culinary freedom here regarding the sushi. However, it is not the case with a similar dish, called sashimi. Do not rub pieces of chopsticks together, as it is considered rude. Once you get the tuna sushi, get yourself a piece and mildly spread some wasabi (horseradish sauce) and then mildly dip it in the soy sauce or shoyu. Make sure that you don’t overdo this, as you can ruin the taste of the sushi if you do. Make sure that you eat a few pieces of gari after a few bites, and after you are done. It is considered to be a good cleanser. As for the other dishes that you may also be having, you can follow the normal etiquettes that you may be following elsewhere. These etiquettes hold true in all places, whether you are in Hokkaido, Tokyo or for that matter anywhere else in Japan. In all, you could say that the sushi is one of the most popular of all Japanese dishes in the world. Made using a variety of ingredient and with a unique cultural twist, the sushi is one dish that is second to none. So if you are into seafood or for that matter Japanese food, the sushi is one dish that you must try out.